I love nature programming on Discovery Channel or PBS. Some shows are more interesting than others. Shark Week grabs my interest. Generally speaking Bird Watching does not. But one evening long ago I happened across a program on the flora and fauna of the Holy Land. 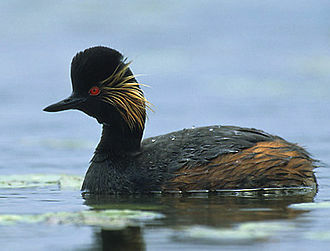 And for some reason, my attention was captured by an aquatic fowl called the “Grebe“. 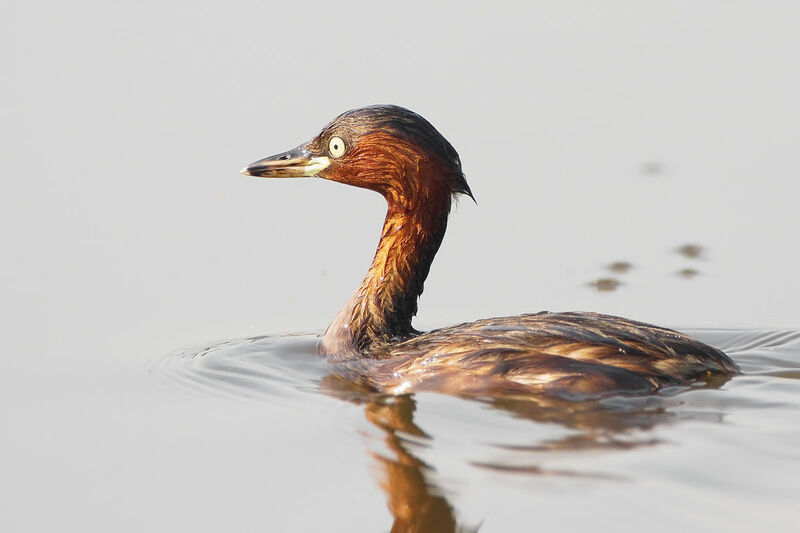 Like most water fowl, Grebes nest on shore quite near the water’s edge. Adults cover their eggs with grasses, and spend most of their time in the water. They can dive for fish, and are much more comfortable in the water than on land. When their chicks hatch, they can swim almost immediately, and will follow their mother hither and yon. All this sounds like a duck so far, right? But here’s what’s different and propelled me into some moments of deep worship. When duck chicks are threatened, as by a fox or other predator, they will head into the water and swim away, following their mother in a line. This is good… but still leaves them exposed individually, a bit vulnerable. But when a mother Grebe sees danger on shore, she races to her chicks and backs up to them, dipping her tail to make a ramp onto her back. Her chicks “climb aboard” her body itself, and she tucks their little bodies under her wings. She sails out to deep water like a viking ship, her offspring’s heads bobbing above the edge of her wings, as they ride as safe and secure as if buckled into a child seat. The Grebe flees from danger at the full-blown speed of the adult, not the baby paddling of newborn ducklings. The Grebe maneuvers with the skill of the canny mother, not the naive duckling. And the protective Grebe mother moves them quickly out into deep water, far from the shallows of ducklings. As I watched this program, I found myself hearing Psalm 63:7 echoing in my mind. In fact, there was a worship song I used to sing that contained the verse “Beneath the shadow of Your wings I will rejoice, to find a dwelling place secure”. (Blest Be the Lord). I thought of King David as a boy shepherd. I wondered how many times he had watched the Grebe save her chicks from a slinking cat, a slithering snake, or a sly fox. I could imagine him seeing the Grebe as a model of safety for her offspring, and this image returning to him years later as he wrote his praises to God for His protection and care. Whenever I see Jesus speak of gathering His children as chicks… to this day, I never envision a chicken (as do most of my friends) covering her chicks in the barnyard with her flapping wings. I still see the Grebe, sailing serenely out to safety as she clamps them firmly within the hollow of her breasts. Beneath the shadow of His wings we can rejoice. We have a dwelling place secure!